THIS ITEM IS NOT AVAILABLE AT PRESENT. WE WILL NOT BE GETTING ANYMORE Batman 1966 Action Figure. From the Batman collection by Funko. 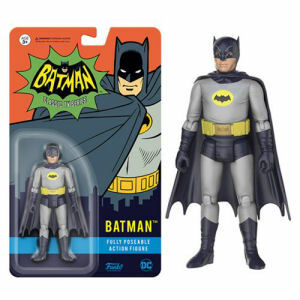 Batman 1966 Action Figure. We cannot accept requests for specific variants or will we accept returns on opened items. Batman features 9 points of articulation and measures approximately 3.75 inches tall.